It “takes a village” to put on the Winter Solstice celebration! 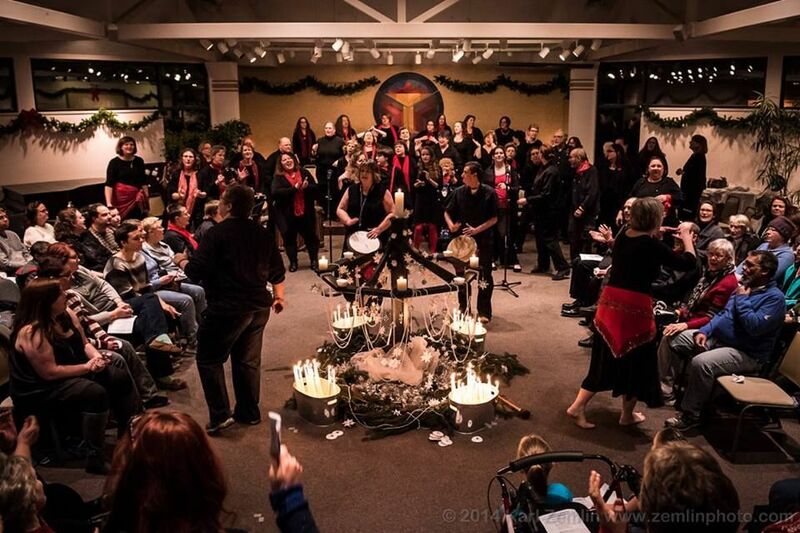 The Indianapolis Winter Solstice Singing Ritual only happens through the participation of many, many volunteers. People help set up and tear down, tend the food tables (did we mention there was always a delicious pitch in after the performance? 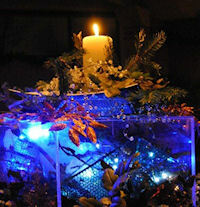 ), sing in the choir, act as speakers, design the visuals, usher, run sound, and do a myriad of other things. 2018 Volunteer sign up is here. There will be ONE organizational meeting on Monday, November 12, 7:00 pm, at Sacred Path (1818 W. 57th, Indianapolis), followed by the first choir rehearsal from 7:30-9:00 (no auditions, all welcome!). Please plan to attend. All ages, voices, gender identities, and skill levels are welcome in the choir—you pick what part you want to sing. Singers can purchase a limited number of songbooks and rehearsals CDs from the choir director at rehearsals ($10 and $5 respectively). Mandatory dress rehearsal is at UUI (Unitarian Universalist Church of Indianapolis, 615 W. 43rd Street, Indianapolis) on Monday, December 17, 6:30-??? pm. Please attend at least three rehearsals and the mandatory dress rehearsal. It is a cool thing to attend the ritual, but people have told us it’s even more fun to help make it happen. Contact us to let us know you are interested in volunteering, or sign up here! All Rights Reserved © Winter Solstice Singing Ritual - Indianapolis.